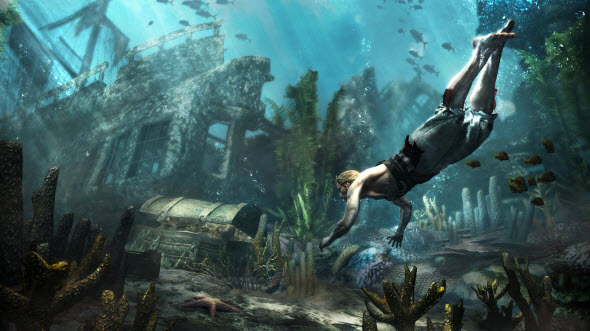 The Black Flag game is going to be a really great project, and the newest gameplay Assassin's Creed 4 trailer only proves this fact. Yesterday the developers published comprehensive and interesting video that reveals several mysteries of the piratical saga. Assassin's Creed 4 trailer is a gameplay video with the commentaries of the game director - Ashraf Ismail. Here you will be able to meet Edward Kenway against the background of lush Caribbean nature. From the video we get to know that loot will be very important in this project, and even your adventure may start from the treasure map that was found in your enemy's belongings. 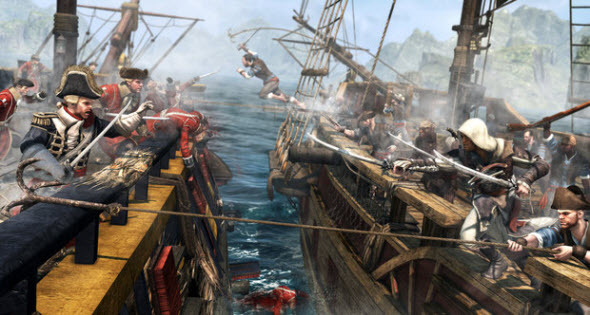 The world of Assassin's Creed 4 is very open, so here you will always find something to do. The most important part of the game is sailing and naval battles. In Assassin's Creed 4 trailer we can see what happens when the storm is coming to you, and how to win the sea battle or to conquer the fort. Besides the main characters in the game, you will be able to communicate with lots of people and meet different animals. According to the Assassin's Creed 4 trailer, your ship will also be a very important part of the game. Using the plunder and blueprints, you will be able to customize and upgrade it.